The ensemble cast movie can be great, or as annoying as sports dynasties grabbing up all the star players, creating what I consider an unwatchable ensemble of Hollywood elites interacting instead of acting. The Oceans 11 remake is what I propose as an example vs. Pulp Fiction where the ensemble cast is brilliant and not for the sake of. You really hated Ocean's 8, huh? No no no not 8, 11, the Clooney self-gratification one! I would give 8 a chance. The commercials just dig up old wounds lol!!!! I probably need to watch Pulp Fiction because I really like the Oceans 11 cast. The only people that would not like Ocean's 8 are sexist. It has such an amazing, talented and beautiful cast. It may just be me but I find it hard to watch when certain "super" stars are lumped together, where it appears they are overacting or just chumming it up on screen... Julia Roberts, Clooney, Pitt all bothered me in this. I also hated The Mexican for the same reason so maybe it's just an actor thing for me, but I do like them in other roles. Saw Ocean's 8 this morning w/my husband and really enjoyed it - I'm taking my mom to see it on Tuesday. No tobacco chewing or spitting by Bullock (or any of the others). I've never liked a single oceans movie.. i think it's like youre saying with the ensemble cast thing. They are more focused on the interactions and giving each major star their screen time. Focus should be on a great story and we all know if they were unknowns cast in those roles that the script would be different. Maybe it works with just 8? Thats better than 11. The only people that would not like Ocean's 8 are sexist. Yeah I feel it's star overload, the ensemble does not have to be star packed, and I believe you are correct in, they will write scenes just to have two stars interact that may not have anything to do with the story and it becomes annoying. It's about as exciting as the NBA all-star game, lol... I'll take the regular season and gritty teams that battle it out with stars and bench... that's "story" vs star power. 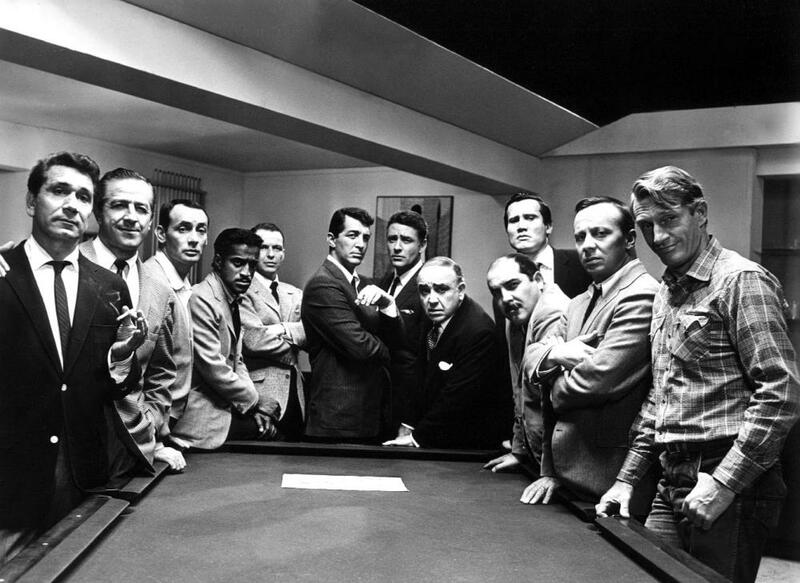 What do any of you think about the original "Oceans 11" (1960) with the "Rat Pack"?